Valid believes it is our responsibility to our stakeholders and the economic regions where we operate, to drive innovation in the global marketplace by executing initiatives that promote environmental sustainability and social responsibility. Our framework for sustainability encompasses environmental and social objectives within our business that impact our world. With over 6,000 employees, we have a profound influence on the communities where we operate while our initiatives reflect a focus on continuous social development. The production processes at our plants make efficient use of natural resources, from the acquisition of raw materials to the use of non-toxic and non-polluting materials to waste management. Recognizing that sustainability is multifaceted, we are continuously looking for ways to foster a culture that encourages social responsbility and environmental progress through operational innovation. Valid’s Responsibility Management System includes certifications, standards, the company’s Code of Ethics and Conduct, the Asset Security Policy, the Information Security Policy, the Risk Management Policy, and other applicable legal requirements. We make this Policy available to all of our stakeholders. We work relentlessly to ensure our clients’ complete satisfaction and loyalty, through innovation and the continuous improvement of our processes, services and solutions. Our primary asset is our clients’ trust. Valid has policies that aim to ensure the physical security of the facilities, as well as the confidentiality and security of information. The Asset Security Policy and the Information Security Policy set out the methods and conducts to be fully observed. We oversee our employees’ well-being, health and safety, following the principle of respect for human rights and dignity. The ethical standards that govern the personal and professional relationships between all stakeholders are set out and defined in Valid’s Code of Ethics and Conduct. We put environmental responsibility into practice through the implementation of programs that foster the rational use of natural resources, and through compliance with applicable legislation. We have adopted measures that seek to manage operational and strategic risk; these measures are defined in the Risk Management Policy. All Valid employees conduct their activities in alignment with this Policy. Valid follows the sustainability through the Ecovadis reporting ratings. Valid currently has a silver medal rating. The Corporate Social Responsibility includes environment, labour practices, fair business practices and sustainable procurement analysis. The FSC® – (Forest Stewardship Council®)seal – ensures that the company uses raw materials from controlled sources and from forests that are managed in an environmentally appropriate, socially beneficial and economically viable manner, in the manufacture of their certified products. Click here to read Valid’s self-declaration on FSC®-POL- 01-004 (Policy for the Association of Organizations with FSC®). Recognized as one of the primary art fairs in Latin America, every year ArtRio brings together works from the great masters and from new select artists, in the most important galleries in Brazil and around the world. All year round, the international fair contributes to the art production chain, stimulating production by new Brazilian artists. The initiative also includes a social component: bringing youth and elderly who live in Caju, a neighborhood in the center of Rio de Janeiro, to museums. The bus that was adapted to become a library visits several neighborhoods in the outskirts of Rio de Janeiro and offers free book loans. The traveling library has a collection of over 2,000 books, written primarily by Brazilian authors, and also includes books in Braille and audiobooks. The communal reading space has a bathroom, offers mineral water, and is accessible to people with disabilities. A documentary about the Paraíba do Sul River, one of the most important rivers in Brazil. The full-length film shows the river’s journey from its headwaters to its outlet, informing viewers on its historical, social, and cultural richness through stories told by fishermen, scholars, and residents who live along the river. This initiative combines film with education in a learning environment, bringing small award-winning Brazilian productions to students aged 4 to 18 from state and municipal schools from all over Rio de Janeiro State. Valid contributes annually to the project that trains teens. Youth between 15 and 21 are offered training workshops in set design, wardrobe, sound, makeup, acting, and physical and vocal training. In partnership with the NGO Luar Sorocaba, in São Paulo, Brazil, Valid contributes annually to the professional training of youths. 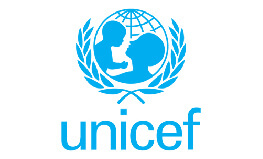 The project involves technical classes at the NGO’s office, as well as practicums at the company’s local unit. The “EVT – Escola de Vida e Trabalho Assistente Administrativo” project (“Administrative Assistant Work and Life School”) aims at providing youth in and around Sorocaba with opportunities to become integrated into the labor market, through professional training. The goal of the project is to replace toxic solvents with biodegradable and ecologically sound products (containing no VOCs) in the offset printing process. The initiative aims at improving working conditions through the reduction of workers’ exposure to solvent vapours and minimizing the environmental impact. Located in Sorocaba, in the state of São Paulo, Brazil the plant was built in 2010. 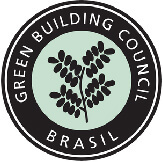 The building was designed in accordance with the principles of Green Building certification, aiming at fostering the sustainable construction industry in Brazil. The building has natural lighting and ventilation, an effluent treatment plant, a generator facility, water reuse systems, paper bundling systems and vacuum systems. Valid promotes continuous investment and maintenance to minimize the environmental impact. Through Valid’s Community Outreach program, our Marmon and Katrine facilities located in Bolingbrook and Downers Grove IL, USA, held a successful Cleaning Supply Drive benefitting Sharing Connections. The non-profit organization provides furniture and other household items to families coping with domestic violence, returning or homeless veterans, job loss, or financial hardship. As part of the “Meals from the Heart” program, Valid volunteers served dinner to Ronald McDonald House residents and had the opportunity to meet some of the families staying at the facility. 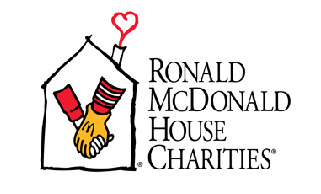 Ronald McDonald House (RMH) provides vital resources, compassionate care, and a “home-away-from-home” for children and their families being served by leading hospitals worldwide. Valid was honored to sponsor Alliance Data’s Annual Golf Outing & United Way Fundraising Event at Kyber Run Golf Course in Johnstown, Ohio. United Way is engaged in nearly 1,800 communities across more than 40 countries and territories worldwide. They create community-based and community-led solutions that strengthen the cornerstones for a good quality of life: education, financial stability and health. From June 12th to June 30th, our office located in Woodland Hills, California, USA held a successful food drive benefitting Food Share. Food Share is a 501(c) 3 not for profit dedicated to feeding, nourishing, and educating the hungry of Ventura County, educating the community on those who are hungry and why, and advocating a reduction of the root causes of hunger. Valid was a proud sponsor of the 2nd annual FIS/CardPro Golf Outing that took place on June 12th in Lockport, IL. As a valued FIS partner in Payment Solutions, Valid was invited to sponsor and participate in the event benefiting the American Cancer Society. Our donation is helping to make a difference by funding groundbreaking cancer research and patient care programs. A Valid objective is to promote the calculation and subsequent reduction of the carbon footprint, as well as to encourage projects which improve Spain’s sink capacity and, therefore, become a tool to tackle climate change. Afforestation and reforestation actions with associated land-use change. Activities to establish a forest on land that has not contained any forest. Based on actual figures of a forest cover at a given time. It allows for the estimation of the sequestration up until the moment when the calculation is made. Involves evaluation of impacts and environmental aspects of Valid’s activities, products and services. After the procedure, all staff is informed of the plan of actions implemented with the goal of engaging the participation and rising of environmental awareness of all its staff. Establish conceptual guidelines and mechanisms necessary to manage segregation, temporary storage and waste disposal. We ensure Health and Safety for the Employees by fully complying with the Danish Working Environment Act. 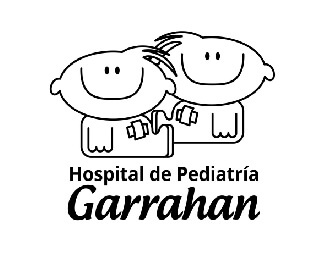 Fundación Garrahan Recycling Program strengthens the commitment with the environment. 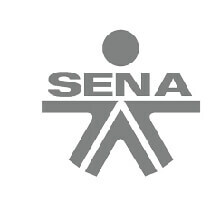 En Buenos Manos is a social organization whose mission is to generate a change in the way people with disabilities are seen, through development of self-sustaining efforts of additional value that inspire the society to be more inclusive in general. Among services contracted by Valid that ‘En Buenos Manos’ offers, the following can be found: relaxing massages and fresh fruit baskets. The centers of comprehensive professional training are the responsible units of the provision of services of comprehensive professional training, technological services, promotion and development of the entrepreneurship, standardization and competition assessment, interaction between public and private entities and coordination among production chains and financial sectors.